Versatile small luggage tags, part of the "With Love" collection. 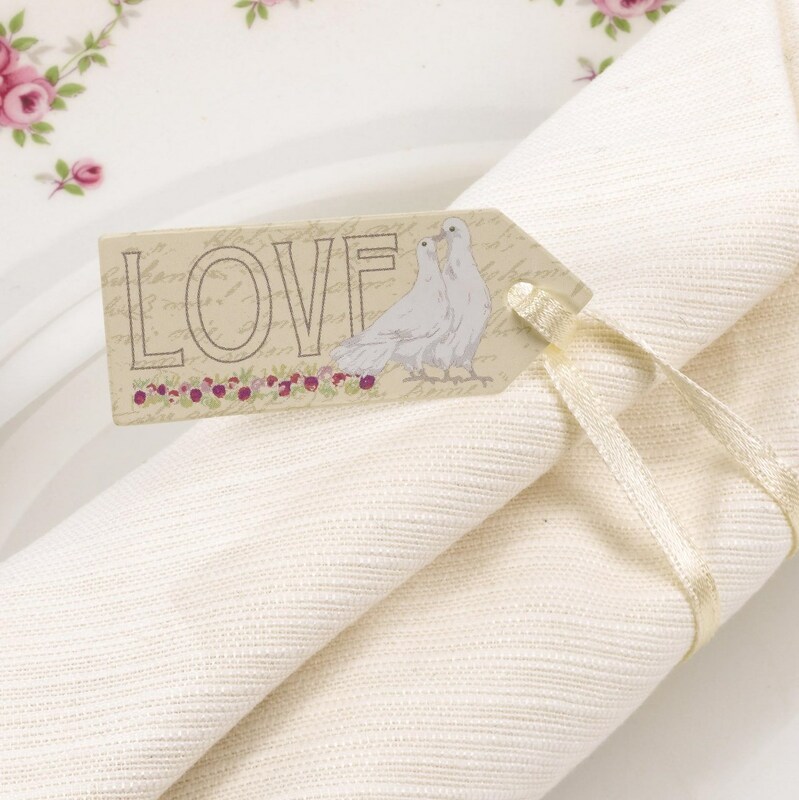 Used to decorate favour boxes or bags, or to add a pretty touch to cutlery or napkins, these beautifully designed tags are supplied with elegant ivory ribbon and feature a beautiful dove illustration and ‘Love’ motif. With a distinctively vintage feel, these tags are the perfect addition to your décor if you’re a lover of traditional, timeless style. Blank space on reverse for writing names or messages.